This Mediumship & Channeling Retreat is a highly successful retreat, open to all those evolving onto their Mediumship journey. No prerequisites required to take part in this retreat, but this is a prerequisite to the Advancing Mediumship for those who want to push further, potentially carving a new profession. On this retreat you will create a solid, safe and secure foundation on which your future Mediumship communications will safely and securely take place – your sanctuary. Once established, this will be your training room, healing room, waiting room etc, for all Spirit communication. You will connect and meet with some of your Spirit team. 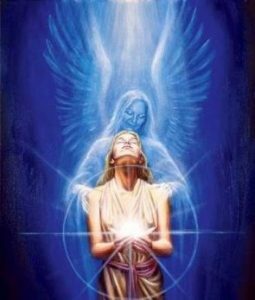 You will experience channeling, transfiguration, giving and receiving of messages and hopefully when the energy has built up, you will receive your Soul name. The venue is the fabulous Moondyne Convention Centre in the Chittering Valley. The weekend will enable you to engage in workshops that provide a great grounding for further growth and as long as you are prepared to ‘give it a go’, YOU WILL WOW YOURSELF. Your place on the retreat is secured when we receive either your payment in full or deposit. The $710 is inclusive of 2 nights accommodation (Friday & Saturday Night), all meals including morning & afternoon tea and the workshop from Friday night until Sunday afternoon. Please refer to the website under “Retreats” for our Cancellation Policy wording. Disclaimer When using this website, you agree to and understand that all Readings, Events, Workshops and anything else contained herein are for Entertainment, Spiritual growth and Guidance purposes only. This is not a substitute for medical or psychological care. Spiritual Guidance stimulates inner growth and healing, but is not intended to replace therapy or the care of a qualified health care provider. Loved every moment and I learned so much. Donna is a great teacher - so gifted and her personality and vibrance are a bonus! Thank you! This workshop was absolutely awesome! Will recommend to all my friends. Very in depth coverage of Tarot. Enjoyable and informative. Again Donna always delivers. Well informed and accurate information. Love the classes that she offers and would highly recommend her to other people. Donna's delivery of the course content was decisive with loads of easy to understand information. Her humour made the day thoroughly enjoyable. I have learn skills beyond the level I started with, and I am leaving feeling confident to read a spread better than when I arrived. I highly recommend attending a workshop with Donna. So excited during the class to grow my understanding & meaning of the cards. You make the course so much fun. Such a lovely environment to learn in. Fast, furious & full on - covers many different aspects and angles to help build bigger pictures to deliver more information & get a better understanding. Great day! Lots of information that i haven't heard or read before. Great practical ideas on how to use the Tarot straight away with extra info for later once we are feeling more confident. I really enjoyed today - Tarot 2 workshop. Very informative and added more depth with the astrology and some numerology. I would recommend it! Very enlightening - you open minds and make things very clear. Thank you very much! You have a wonderful relatable way of delivering information. Your workshop flowed in a logical way which I found easy to understand. Your way with words is amazing! Love the way in which you deliver the messages of the cards. I just want to keep coming back for more. Thank you. It was amazing. You zoomed straight in on my family, we had lost our loved one only 2 weeks ago. The messages you gave us were so accurate that we were stunned and pleased. You do a fantastic job. I am a watcher of John Edward – you are so much more entertaining. A great evening! Can’t believe how accurate Donna is with the names for people. It’s amazing. Thanks for a really entertaining and enlightening night. Most surprising was the accuracy of the information received. Thoroughly enjoyed the evening. Very accurate and good with details. Humorous and uplifting. How wonderful – the great comfort and awareness Donna gives to people. Unbelieveable!!! My son came back to me. You’re amazing! I’ve been to see John Edward in the past and you are by far the best! You uplifted everyone and I can’t wait to see you again. Loved your beautiful smile, laugh and humour. Gifted in many more ways are you not. Anyway, thanks once again for a fab night, I wished it could have gone on for a couple more hours, you were not only entertaining but brilliant at bringing the messages over. Absolutely fantastic. Thankyou for everything, you were so accurate. Donna, your accuracy was brilliant. On the way to see you my friend and I had a conversation, which was without any doubt validated and answered by my friend’s dad in Spirit. Truly gobsmacked. Copyright 2014 Donna Wignall . All Rights Reserved.